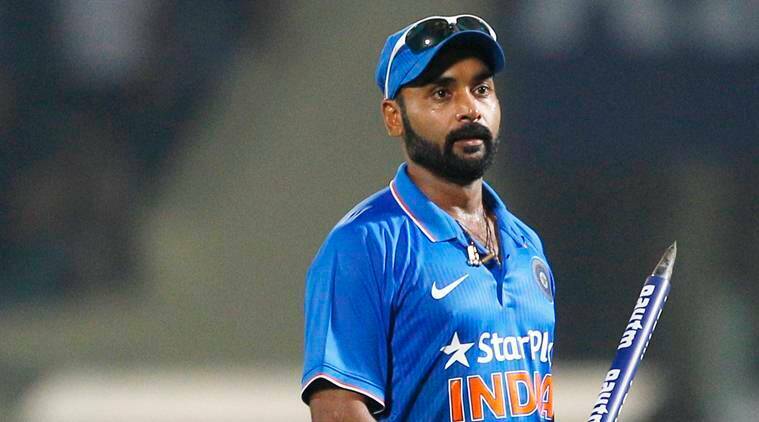 Amit Mishra led the Indian bowling attack in the series with 15 wickets and for that he was awarded the man-of-the-series. As soon as Amit Mishra completed his five-wicket haul, coach of Indian cricket team Anil Kumble was the first person in the dressing room to stand up and applaud the achievement of the leg-spinner. The shy Mishra takes time to acknowledge the applause of the dressing room. It was only after Virat Kohli pushed him in the front that he could manage a smile. The smile was after a lot of hard work Mishra put in to get a five-wicket haul. He finished with 15 wickets in the series but this was his best performance of the series. His final figures were 6-2-18-5. He was ably supported by left-arm spinner Axar Patel who picked up two wickets and debutant Jayant Yadav who picked up one wicket. Having began this home series as a reserve in the Test matches, Mishra was waiting for an opportunity to shine and he got it in the first ODI itself. He picked up three wickets in the Dharamsala ODI to help India bundle out New Zealand for a low score. He picked three more in the second match in Delhi. He added four more wickets to his name in the next two ODIs and five in the last one. Mishra himself was satisfied with his performance and said that it is always great to contribute to team’s victory. He also praised Dhoni for calming him down at the start. Kohli was a strong a strong contender for the Man-of-the-Series award but Mishra, for his 15 wickets in the series, received it. It was apt as Mishra put India in situations from where the batsmen can dominate.